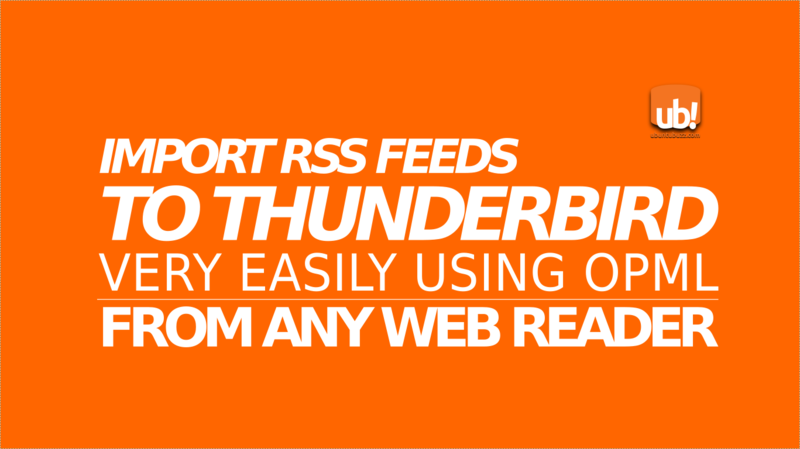 If you have a web-based RSS reader with many feeds already subscribed you may want to migrate the feeds into your desktop client. 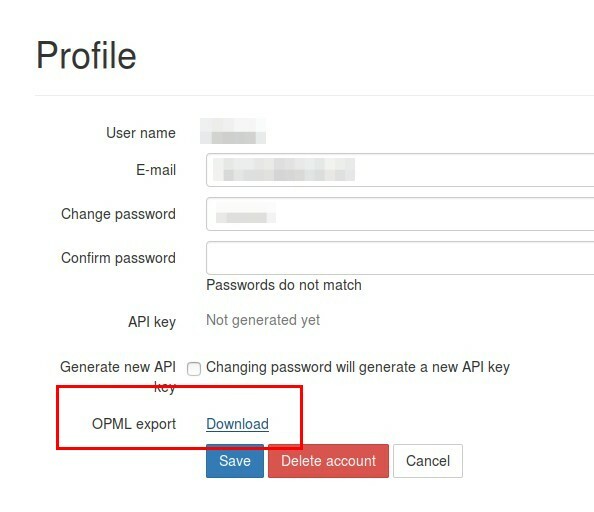 You can do it by exporting all subscribed feed URLs to OPML file and import it to your desktop client. 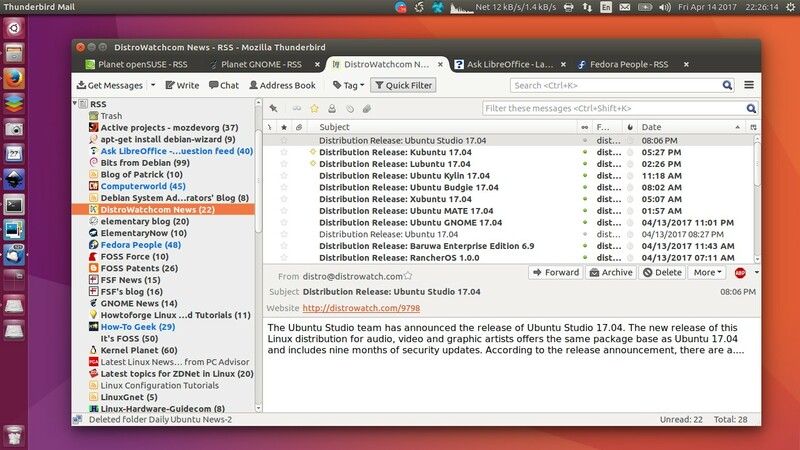 The result is you have the same feeds between the web and desktop readers. 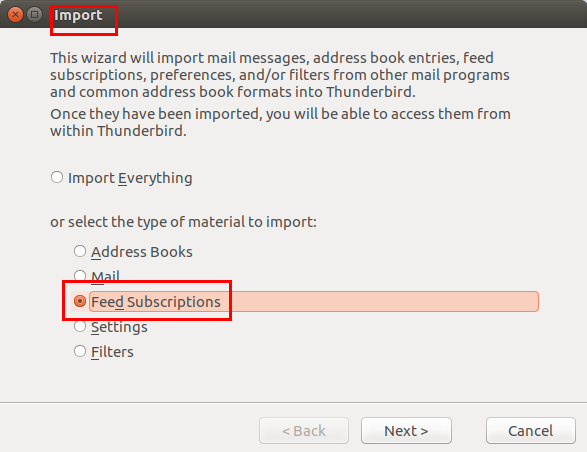 I'll give an example exporting OPML from my CommaFeed account to Thunderbird. 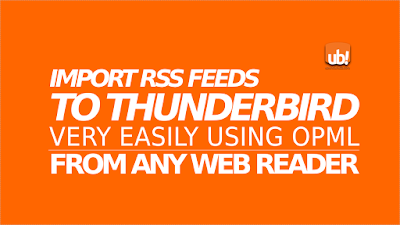 Enjoy reading RSS feeds! Login to CommaFeed. See your Profile page (the universal URL is https://www.commafeed.com/#/feeds/profile). 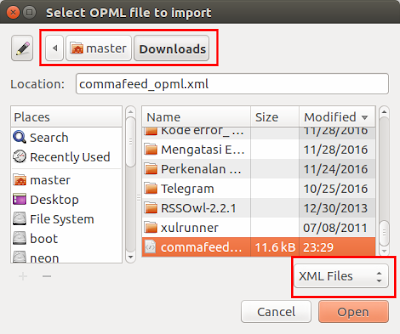 Click the OPML export: Download link and it should download a small .xml file. choose any RSS account exists > select OPML file to import (change the format chooser at bottom-right to "XML") > OK. At this step Thunderbird will import all feeds and download news from them. 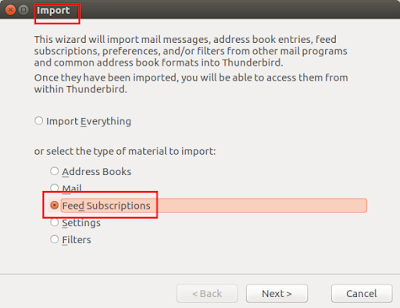 Now you have imported your RSS feeds from CommaFeed (web reader) to Thunderbird (client reader). Enjoy them!